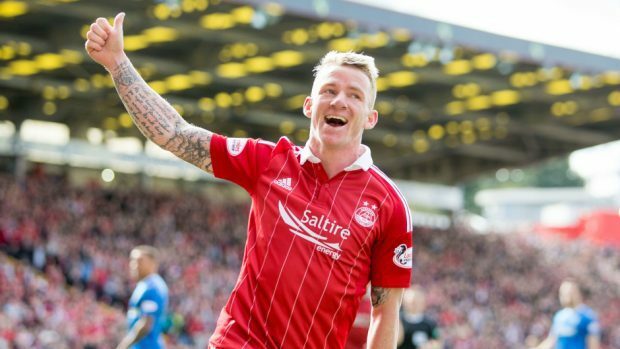 Former Aberdeen midfielder Jonny Hayes. Derek McInnes would like to add one more player to his Aberdeen squad before Thursday’s transfer deadline – but it is unlikely to be Jonny Hayes. The Dons manager has added Max Lowe and Greg Stewart in the January window and feels further reinforcements are necessary for the second half of the campaign. Celtic winger Hayes, who left the Dons for Parkhead in 2017, had been linked with a return to the Granite City on Tuesday but it does not look likely to happen prior to tomorrow night. McInnes said: “I wanted to focus on this game but we will see where we are and make a few calls. We’d still like to bring in one more player if we could but are getting bodies back like Devlin and McKenna and Reynolds. We’ve got some good attacking options and youngsters coming through but if we don’t add anyone, it’s not the end of the world. But with the challenges coming up, I’d like to add one more to the squad. As well as Hayes, the Dons had also been linked with Lewis Morgan, who appears set to join English League One side Sunderland on loan. McInnes revealed last night that defender Scott McKenna, who limped off against Livingston, had positive news from his scan on a hamstring injury. The Dons will play Queen of the South at home on February 10, after Stephen Dobbie’s hat-trick saw them past Dundee.